The bigger the refrigerator, and the more it costs, the lower the ratio between its list price and the price of protecting it for a given length of time. And the longer the duration of coverage, the more it will cost, though the industry-wide ratio isn't close to a straight line in terms of cost per year. This is where it all began, with refrigerators. The first service contract ever written was sold in 1934 by a Chicago appliance dealer to protect a General Electric Co. Monitor Top refrigerator, as we reported almost seven years ago, back in the February 3, 2011 newsletter. And it's a good thing, because before Freon was widely adopted as a refrigerant, a simple leak could be fatal. So it's most appropriate that we take a closer look at the price of protection plans in a market segment that started 83 years ago. And it turns out there's a wide range of pricing on offer, not only for the same models, but also for the same lengths of coverage. Those who say that service contracts are never (or always) a good idea usually don't take this into account. If the service contract is offered at 75% of the price of product it protects, that's probably not a good buy. But what if it's only 8% or 10%? Provided it covers the product sufficiently, it might be a compelling bargain. This week's mystery shopping expedition began with a search for household refrigerators and service contracts sold by 19 major retail chains: Abt Electronics Inc., Amazon.com Inc., Best Buy Co. Inc., BrandsMart USA, eBay Inc., hhgregg.com (Gregg Appliances Inc.), Home Depot Inc., Kmart (part of Sears Holdings Corp.), Lowe's Companies Inc., Menard Inc., Newegg Inc., Office Depot Inc., PC Richard & Son, Buy.com Inc. doing business as Rakuten.com, Sears Holdings Corp., Staples Inc., Target Corp., Toys R Us Inc., and Wal-Mart Stores Inc.
Toys R Us sells refrigerators? Well, not exactly. They do sell a KidKraft Uptown Espresso Kitchen toy set for $230, and they also sell a $55 Toy/Bike Protection Plan for it. And while Staples and Office Depot are not known for the breadth of their major appliance offerings, both do indeed stock a variety of small office-sized refrigerators. And they sell protection plans for each. But not everybody sells refrigerators. Of the 30 retailers where we shopped for consumer electronics items and service contracts last year, we could not find price data for refrigerators and/or service contracts in 11 of them. At Costco, BJ's Wholesale, Conn's, QVC, Sam's Club, and Tiger Direct, refrigerators were for sale, but non-members could not see the prices of either the products or their service contracts. At Adorama Camera Inc., B&H Photo & Electronics Corp., Crutchfield Corp., GameStop Corp., and Micro Center, refrigerators were not offered for sale. At each retailer, we shopped for three brands of refrigerators: Frigidaire (made by Electrolux AB), GE Appliances (now owned by the Haier Group), and Whirlpool (made by Whirlpool Corp.). However, none of these brands were offered at either Target or Walmart, so at those locations and a handful of others, we substituted others such as Danby. In Figure 1, we've tallied up the number of units surveyed for each brand. For each product, we noted the list price of the unit and the prices of all corresponding service contracts. Then we compared the two, calculating the percentage ratio between them. In total, we found 320 service contract offers for 334 refrigerators. The refrigerators ranged in price from $80 for a compact unit all the way to $7,649 for a high-end GE unit, while their service contracts ranged in price from $17 to $800, with terms ranging from two to 10 years. For refrigerators, we found retailers to be working with one of five different third-party companies: Best Buy and Newegg worked with AIG Inc.; BrandsMart USA, hhgregg, and Menard's worked with AmTrust Financial Services Inc.; Lowe's worked with Assurant Solutions; Home Depot and Walmart worked with Asurion; and Abt, eBay, Office Depot, Rakuten, Staples, Target, and Toys R Us worked with SquareTrade Inc.
Usually, the same team of administrator, obligor, and underwriter was always working together. For instance, AIG's underwriter was always Illinois National Insurance Co., and AmTrust's was always Wesco Insurance Co. And they also owned the administrators they worked with. However, Asurion worked with either CNA or The Warranty Group as underwriters, depending on the client, and SquareTrade worked with both CNA and Starr Indemnity & Liability Co., depending on the client. Also, Amazon.com splits its refrigerator service contract business among at least three companies: AmTrust, Assurant Solutions, and SquareTrade. 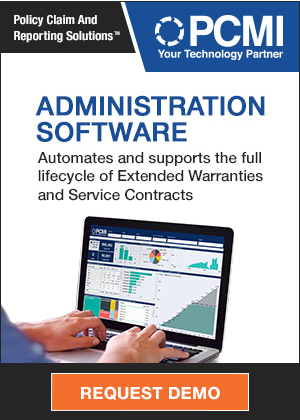 Usually, at least for refrigerators, the same administrator would offer two or three service contracts for a given unit. But at Amazon.com, we found AmTrust's Warrantech and Assurant Solutions sometimes sharing the same page with competing offers from SquareTrade. In other words, shoppers could first choose the refrigerator they wanted to buy, and then choose between multiple service contract options, differing on price and duration, as well as coverage. This was the only instance where there was consumer choice within a given retailer, at least in terms of service contract providers. Usually, each administrator has a monopoly on a given retailer at any given point in time, and they compete to replace each other. The average price of the refrigerator service contracts that we found was just over 16% of the product's price, but as we will show, there are numerous ways to slice and dice that one single metric. Without looking at any at the features of the refrigerators themselves (ice-maker or not, configuration of the doors, color, etc.) we found several things to be true. First, brand didn't matter as much as did the price of the unit or the duration of the service contract. We're going to suggest that there was no meaningful difference between the quality, reliability, or claims cost of the brands, or at least they weren't expressed in the price of the service contracts. There were, however, meaningful differences between the size and price of the units, and those were expressed in the ratio between the products and their protection plans. For instance, the smaller and more compact units tended to have lower prices, but the price of their service contracts were proportionately higher. And since Danby made many of the smaller units, that drove up the average price ratio for the "other" category in the chart below. Also, many of the most expensive high-end units we found were made by either GE Appliances or Whirlpool. And since there's an inverse relationship between the price of the refrigerator and the price of its protection plans, that drove down their price ratios. Figure 2 illustrates the relationship between brand and price. Let's set aside the brand identification of the units for a moment and take a closer look at just their prices. As we said, brand didn't seem to have a meaningful impact on service contract prices. In fact, most retailers priced everything on the selling price of the product, in that everything between $200 and $500 carried one service contract price, while everything selling between $500 and $1,000 had another price. And in cases where GE, Frigidaire, and Whirlpool had units selling at identical prices, the prices of their service contracts were the same. Some retailers maintained some fairly wide price bands. For instance, at Abt Electronics (which uses SquareTrade for all non-local sales), the price of all four-year service contracts for refrigerator selling for under $1,000 was $80, and was $100 for five-year plans. For a hundred-dollar Danby unit, this meant the price ratio could be as high as 70%. But for a $999 Whirlpool refrigerator, the $80 price of protection was only 8% more than its list price. As we shopped, we tried to sample the entire range of each retailer's product line. So we started at the low end, with the smallest and least expensive units, and worked our way up in increments of $200 all the way to at least $3,000, and in some cases, even higher. In cases where the retailer's inventory was more limited, we decreased the sampling interval to $100 or less. All prices were suggested list only, with no additions for delivery, installation, taxes, parts, consumables, or removal of the old unit. After the survey was completed, we found we had priced 334 units. In Figure 3, we separated the price of the refrigerators into low, medium, and high-priced groups. To make them roughly equal in size, we chose the price points between them to be $700 and $1,600. The average price of the service contracts associated with them was then calculated. As we said, the overall average was just above 16%. However, as can be seen in Figure 4, the ratio was much higher at the low end than it was at the high end. The service contracts for refrigerators selling for less than $700 averaged out at 24%, while the price ratio for units selling for $1,600 or more was only 10%. In the middle, the price of protection for units with list prices between $700 and $1,600 averaged out to 14%, also below the average. And it's not because there were more units counted in one group than another. As Figure 3 showed, the three groups were designed to be almost equal in size. Furthermore, the relationship held at all service contract lengths. The least expensive models always had the most expensive service contracts, whether the term was for two or 10 years. And the most expensive units always had the lowest protection prices, at least as a percentage of the product price. For instance, the average price of two-year plans for $1,600-and-up refrigerators was only 5.4%. The average cost of five-year plans for under-$700 units was above 35%. This suggests to us that the price of protection, while it may be closely tied to the price band a given product falls into, also correlates to the average price of repairs, and indeed, to the likelihood that repairs will be needed within a specified time period. So there may be both a floor and a ceiling that enters into service contract price calculations. There is a floor price at which no provider can make money, given the cost and likelihood of a claim. And there is a ceiling at which even protection plans for the costliest units will be profitable in the long run. In other words, if the price of a service contract for an $800 unit is $100, that doesn't mean the price for an $8,000 unit should be $1,000. And it doesn't mean the price for a $400 unit should be $50. The ratio isn't a constant percentage for every unit, like the black line across the middle of the chart. This may explain why the lowest price for a refrigerator service contract at Abt was $80, or why the highest price at Home Depot was $250. The calculated cost and likelihood of a claim put both a floor and a ceiling on what retailers can reasonably charge for a service contract. The cost of a service contract is relatively higher for compact units not because they are small, but because there is a floor on how much their repairs or replacements will cost. The duration of the service contract had the most visible effect on pricing. The longer the term, the higher the price. In fact, some providers seemed to base their pricing exclusively on that metric. If the cost for a year's coverage is calculated to be $20, then their three-year contracts were $60, their four-year contracts were $80, and their five-year contracts were $100. It's a simple straight-line method of pricing service contracts, which also simplifies the reconciliation of recognized revenue with expenses. However, it doesn't always work so smoothly. In machines with moving parts and constant use, the wear and tear is likely to result in more claims in the later years. So the cost of covering such a product, rather than a straight-line $20 a year, may be $10 in years one and two, $20 in year three, and $30 in years four and five. The price of protection plans needs to reflect this. In Figure 5, we've segmented the 320 service contracts by their length of coverage. No one-year contracts were found, probably because retailers and administrators are happy to leave this time slot up to the manufacturers to cover with their product warranties. And since there are limited possibilities for deal sweeteners (paying for spoiled food, paying for cosmetic damage, etc. ), nobody was selling policies that merely overlap the product warranties. At the other extreme, both hhgregg and PC Richard were selling 10-year service contracts. But hhgregg's covered only the refrigerator's compressor, with what were called "Major Component Premium Service Plans." Full coverage was sold only in three- and five-year contracts. Meanwhile, PC Richard sold two, three, five, and 10-year contracts, sometimes for the same units, resulting in a range of options for the customer. The most common option of all was three years, as Figure 5 illustrates. And since three- and five-year pairs were the most common offerings per unit, they were the most common contract lengths too. As was mentioned, the average refrigerator service contract was priced at 16% of the price of the product it protected. But there was a direct relationship between the length of coverage and the cost of coverage. That relationship is detailed in Figure 6. In general, the shorter the contract, the lower its price. The average ranged from 11% for two-year contracts to 24% for 10-year contracts. But the extremes were even wider. And they didn't always follow expected patterns. PC Richard wanted only $90 to cover a $2,970 Whirlpool unit (3%), while Abt and SquareTrade wanted $100 to cover a $114 Danby compact unit for five years (88%). The highest-priced service contract of all ($800) was found at Kmart, protecting a $3,800 Whirlpool unit for five years. But that was only 21% of the unit price, so it was actually right at the average. Staples, Walmart, and Target had a variety of under-$25 service contracts available for the Danby compacts, which were priced close to the two- and three- year averages. It pays to shop around, not only for the product but also for the protection plan. This has proven to be true not only for consumer electronics, but also for major appliances. Granted, some protection plans have better coverage than others, and therefore have higher costs. For instance, Sears and Kmart are always at the top of the scale when it comes to the ratio between product and protection prices. But Sears Master Protection Agreements also cover cosmetic defects. There are no deductibles or caps on service cost. And replacements, if needed, are done with comparable new units. So not all plans are the same. Also, list prices aren't final selling prices, especially for major appliances. However, discounts off list and differences in coverage don't explain all the price variations. At the low end, we found a GE 15.5-cubic-feet top-freezer refrigerator selling for anywhere from $495 to $645. Its service contracts ranged from $60 to $150, and both were at the three-year level. In the midrange, all the prices for a Frigidaire 27.2-cubic-feet French door refrigerator were close to $1,500. But the service contracts ranged from $100 to $400. At the high end, a 32-cubic-feet Whirlpool stainless steel model ranged in price from $2,400 to $3,150. But its service contracts cost anywhere from $130 to $600. At just the five-year duration, the range was $200 to $550. As we've said before, you cannot say the price of a service contract is always or never lower than the cost of paying for repairs out of pocket. The honest answer is it always depends on the retailer and the service contract administrator the retailer chooses to work with. While some of these sellers are price gouging their way to profitability, others are probably losing money on every service contract they sell. Undoubtedly, some retailers sell the products for less and try to make it up on the protection plans. But others sell both at a discount. Consumers, as they do their own research, need to look at the bundled prices of both, and use this data to help them decide where to purchase both their products and their protection plans. Warranties are not part of the modern customer experience. SquareTrade, bought by Allstate for $1.4 billion, lost money last 5 years. Delphi acquires Movimento, allowing over-the-air software updates. Allstate just shelled out $1.4 billion for a money-losing company. SquareTrade lost $26.5m in 2015, $37.4m in 2014, filing says. 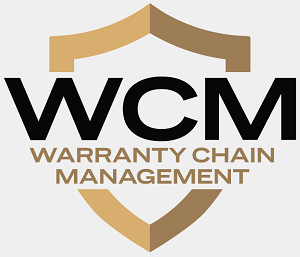 Warrantech partners with Encompass Supply Chain Solutions Inc.
McCusker to provide warranty service for retailer Music 'N More. McCusker to provide warranty service for Sustainable Lighting Solutions. Czech car maker Skoda offers 5-year warranty on all its vehicles. Sub-prime auto loans and bad extended warranties proliferate. Better Business Bureau gives MyPillow an F rating. Blumberg Advisory Group & Giuntini and Co. launch warranty survey. McCusker Holdings acquires Evergreen Underwriting Group. Domestic & General left me without a fridge over Christmas. Tesla's warranty accrual rates declined as its reliability improved. Sears Holdings Corp. lines up $200 million letter of credit. Should you get insurance or an extended warranty on that shiny new gadget?